Do you want to get involved with the placemaking movement but don’t know where to start? Whether you’ve been following Project for Public Spaces for years or just found out about our work, now is the perfect time to organize a local group to encourage placemaking in your community. 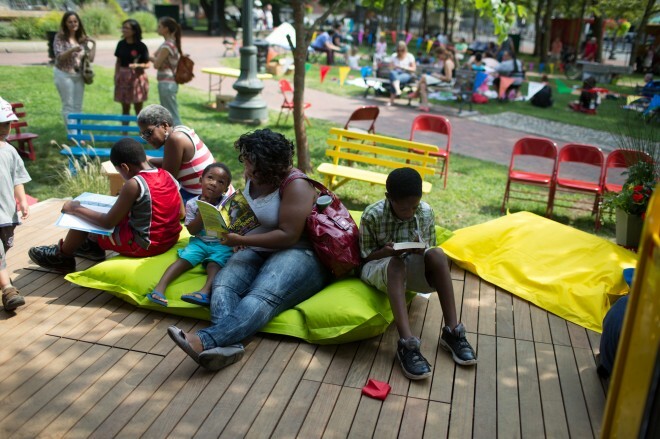 What do we mean when we talk about the placemaking movement? It’s the group of people who believe that the way our towns and cities are planned is flawed, and that the way to change this is by developing around the idea of place. We see ourselves as a platform for the movement—coordinating local efforts, encouraging knowledge sharing, providing resources, and highlighting success stories. This movement is made up of local and regional campaigns around the world, some of them organizing a country-wide placemaking effort, and others working on a single public space or transit station. 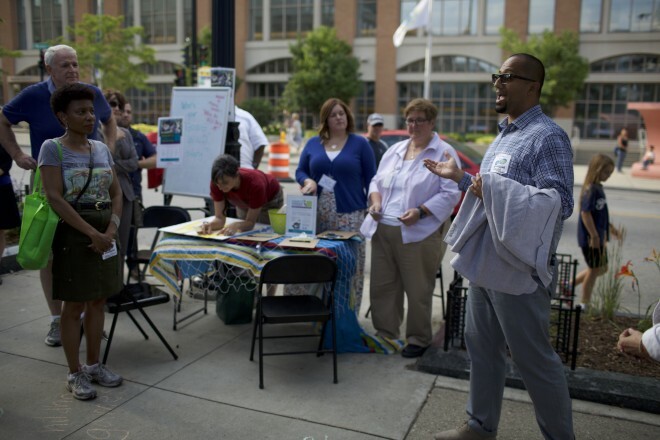 Whether you need better streets, better governance, or anything in between, these five steps offer advice and resources for starting a placemaking campaign in your own community. We established the PLC in 2013, and since then it has grown exponentially, recently surpassing 1,000 members. These activists are the core of the placemaking movement, sharing knowledge and advice on how to implement and scale up placemaking. They also work closely with our team to create and organize resources related to specific transformative agendas, like Creative Placemaking and Streets as Places. While you don’t have to be a PLC member to move on to the other steps, joining gives you access to a community of people around the world facing similar challenges. Building a campaign isn’t a solo effort: it takes many “zealous nuts” to scale placemaking up from a single project to a local campaign. PPS is glad to help -- get in touch with us on Twitter @PPS_Placemaking or by email at info@pps.org and we can put you in touch with dedicated placemakers in your area. Once you have an initial list of people, you can use any number of digital tools (like meetup) to keep track of your group, or just share phone numbers and keep in touch. At your first meeting, the biggest challenge will be identifying the major obstacles to creating better places in your community. Does your city lack access to local food? Is your city known for its stubborn government agencies? Does your DOT prioritize cars over people? Do you need a community vision for public space? Is your local government easily wowed by flashy designers and architects? Are your public spaces built to exclude some group of people? Once you’ve figured out what stands in the way, you can begin to talk about the potential of your community. Are there vacant lots that could be transformed? A local business that could host a farmers market? A street that can be rightsized? As you start to look for opportunities, you’ll be amazed at how quickly they present themselves. Our Power of 10 tool can help you get started, helping you figure out which spaces in your neighborhood are working and which ones have room for improvement. So you’ve organized a group and identified the obstacles. Now for the hardest (and most rewarding) part: creating change. It will help at the beginning to stay focused -- start up a campaign around a single issue or project, and expand from there. Use every tool available to you: start a petition, reach out to government officials, identify other local organizations to partner with. Most of all, be persistent; it can be a long road, but the end result will be well worth the wait. If you reach an impasse, PPS might be able to help. You can hire us to come in and help develop a community vision, or you can attend one of our training sessions to learn specific placemaking tools and techniques. For some ideas to get started, check out our Streets as Places resource page. While it’s focused on transportation issues, it has ideas to get started with all types of campaigns. For more advice, take a look at our 2013 blog post outlining some essential elements of a campaign, or download the Participatory Planning Guide from the Montréal Urban Ecology Centre. We’ve also compiled a list of innovative programs for funding placemaking, and we highly recommend our friends at ioby, who can help connect you with local funding and support. We want to know how you did! Send us an email at info@pps.org or tweet @pps_placemaking mentioning this blog and we might feature your story on our website or social media. We can also help connect you with people who are working on similar projects around the world.